I ordered this lovely BiuBiu top over a month ago and somehow neglected to write a review. This is the 36BB/BBB. I love the pattern of this top. It’s somewhat unusual but not quite as out-there as some of the BiuBiu patterns (as Fuller Figure FullerBust points out here). The fit definitely runs a little smaller than most of the BiuBiu tops. I’m actually okay with this because I feel the Amargos is well suited to being a little tighter and sexier. It’s low-cut in the front, which worried me at first because I don’t like showing cleavage. But it works well with my Thea plunge bra (second to last bra in this post), which doesn’t show too much cleavage. I still wouldn’t wear it to a babysitting job, a church picnic, or a luncheon with my senator, but I think it’s fine for most other casual situations. Due to the tightness, it does ride up a bit when I move around, not to the point where I have to constantly readjust, but to the point where I’d probably be annoyed if I was still living in Edinburgh and walking four miles a day just to get around. My favorite thing about the Amargos is the back detail. Isn’t that cute? A little mini V-neck in the back! The more I wear BiuBiu tops the more I do like them and the more I see their value as a clothing company. I used to think that there was really no difference between their clothes and the high street, other than the tailored shirts, because I never struggled to find clothes that fit me in normal stores. But every time I wear something from BiuBiu, I get so many compliments that it sends me right back to their website to see what else they have to offer. I guess maybe others can see the crucial differences in fit where I wasn’t able to. But I’m definitely starting to appreciate it now. This looks lovely on you =)I am tempted to order for myself. 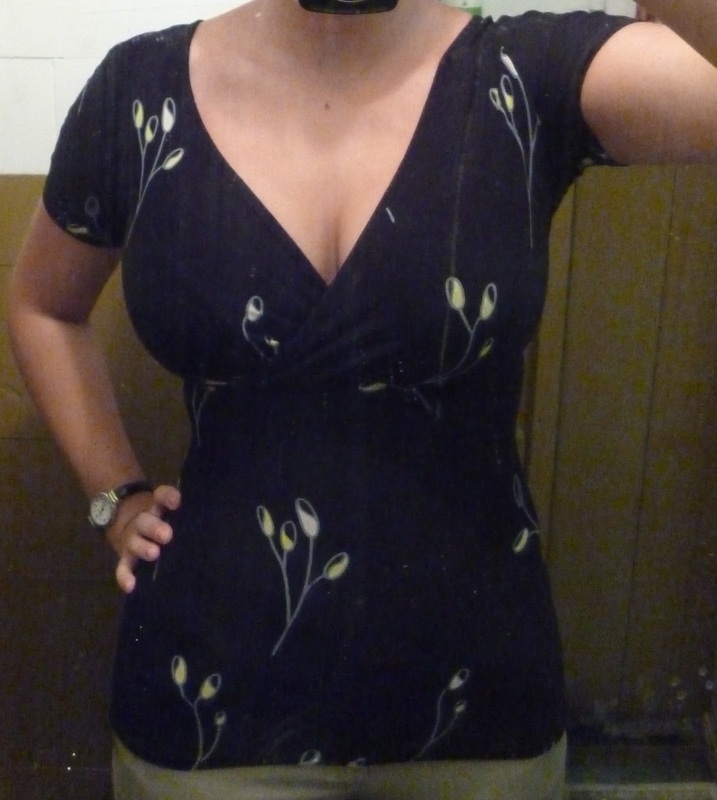 I always find tops tend to bag around my waist and too tight over the bust. This seems like a perfect cure! This looks great on you (you have a lovely figure)! I just got this top too, I really like it! The material has an interesting texture. The side profile is a amazing on you! Is it as purple as it looks in the side profile photo? Oooh, thanks for noticing that! Could have sworn I'd put the link in, but maybe I didn't click "okay". I'll fix that when I'm home. Nice to see how that top looks on you, I'm struggling with how low it is, maybe I need to invest in a Thea! I recently bought this top and it is gorgeous. Unfortunately, it wasn't available in a 42BBB so I bought it in the 40BBB instead. It is too tight for comfort, but I really love it. I only went up to a 42 because of my thyroid and now that my thyroid is working well again, I am losing weight. However, the problem is that I won't be a true size 40 for another few months, at which point the summer will be over. So I don't know whether to keep it or send it back. It is utterly beautiful, so it is very hard to know what to do!! This is actually the only top I've considered out of this summer collection. 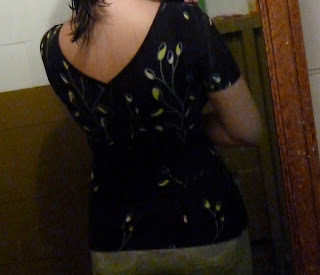 I love the back detail, but I'm not sure if I have a bra low enough to wear it with. Maybe the Harmony? Thanks for the informative blog! I'll have to check some of these clothing sites out. Since I follow your site because I like your no nonsense style, common sense approach and honesty I am going to try this company myself.